The mica heating element manufacturing companies are widely used in almost all the heaters manufactured for industrial and domestic purposes. Chhaperia experiments by bringing on various designs in mica heating. The reliable, practical, and the economical heat source is capable of transferring heat over the surface evenly. In hundreds of commercial and industrial applications, mica strips are used. Nichrome wire is used to make a mica strip and arrived in various patterns. We have the ambition to become one of the top industries in the world and our investment in value services have paid us in the form of endorsements. In the food warming equipment, mica heating is a major element that quickly heats the substance. The complete testing and safety ensured at Chhaperia are what makes it stand unique from the rest of the industries. 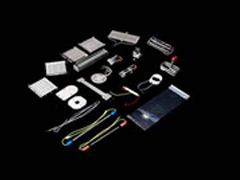 Mica heating element manufacturing companies by Chhaperia work for a long time with advanced power saving options.